Hello World. Blessings and peace be unto you and all your beloved in abundance this year. May the almighty creator God gives you joy, happiness and exceedingly abundant above goodness over your life and every walk of your path. In Silico Genesis has had a good start of this new year 2015. We are very thankful to the UK Trade and Investment & One Nucleus, respectively, for approaching In Silico Genesis to follow up on the UKTI CNS Trade Mission, which took place in November 2014 at British Embassy Seoul and British Embassy Tokyo. It is such a pleasure to be asked to report back the good things that the UKTI has done for In Silico Genesis, by both organisations. I am grateful. I give praise and thanks to my almighty God for the exceeding goodness that He brings to In Silico Genesis. Glory to God. 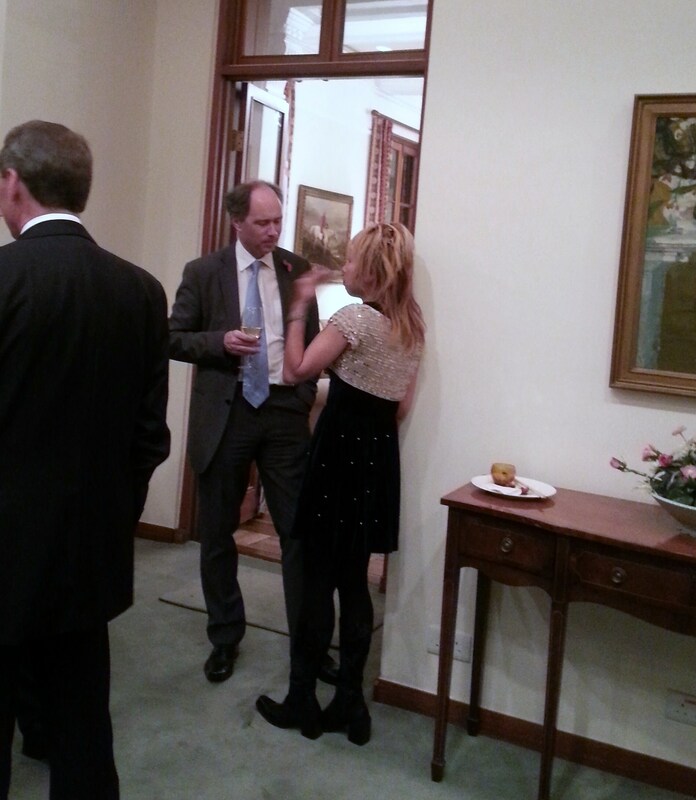 My father took this picture, when he accompanied me to British Embassy Seoul, representing In Silico Genesis together with me. The British Ambassador to South Korea with me (the curly blonde in the centre) at British Embassy Seoul, on the UKTI CNS Trade Mission.